Finding a sense of community at a new duty location can be tough for many spouses. If you have children, this can be even more stressful. Stroller Strong Moms is a health and fitness business that creates that sense of community at each of its 28 locations. Luckily for military spouses, most are not only located near bases, but owned by spouses themselves. 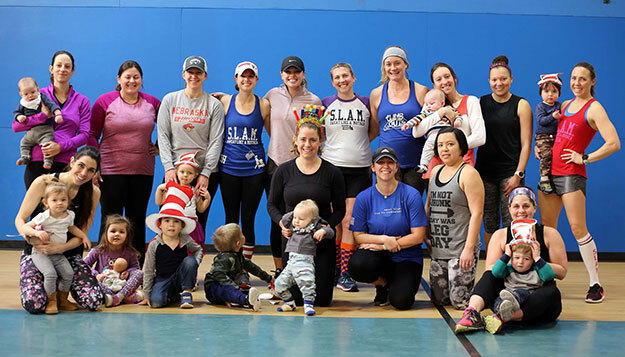 Janet Daly, an Army spouse and certified fitness instructor with continuing education specializing in postpartum fitness and safety, opened Stroller Strong Moms Tacoma, which meets in locations adjacent to JBLM. When asked why she decided to open a location here, Daly responded, "The only people that ask me why I decided to open a Stroller Strong Moms here at JBLM (Joint Base Lewis-McChord) are people that have never tried it." The motto at every location is to "Sweat Like a Mother," or SLAM, as it is affectionately known. Multiple members here have previously been members at other locations throughout the country. Lindsey Merritt has been SLAMing since 2015 and started in Savannah, Georgia. "I love SLAM because I can bring my daughter who gets to see women sweat together, crush goals, have fun exercising, and encourage each other." Daly herself found Stroller Strong Moms in Columbus, Georgia in 2014 and became an instructor shortly after joining. She was amazed at how strong and welcoming the women were. The community experienced by members is life-changing. "At SLAM, people introduce themselves to you, share snacks and toys with your littles, watch your stuff so you can load your car, ask your last duty station, and on and on. The cliché of ‘find your tribe, love them hard' is a fact of life within our group," said Daly. Stroller Strong Moms is also at the forefront of the wave of information coming out about postpartum core health. Instructors have meetings and videos from a pelvic specialist to ensure movements are safe and effective. Ensuring instructors are specialized in safe movements for every stage of motherhood. Emily Atwell, who worked out up until the day before she delivered, said, "My 2-year-old has been going since she was 1 and now she imitates the movements at home." While Atwell was recovering at home after delivery, her husband would attend classes during his paternity leave so that their oldest could continue to see her friends. "I highly recommend any dad participating since you can get a great workout while watching your kid(s) and giving Mom a break," said William Atwell, an Army officer based on JBLM. "Janet is a great instructor who comes up with great workouts to keep you in shape (or get you a head start on getting back in shape). I had a great time getting to know some of the SLAM mommas and my daughter's friends." While one of the many bonuses of working out at Stroller Strong Moms is the opportunity to bring your child with you, having a young child is not a requirement. "I love to SLAM because of the people," said Carrie Russell, a member here and previously a member of the Leavenworth, Kansas, chapter. Russell says don't let the name fool you, you do not have to have young children to join. "I don't have stroller-aged children anymore, so I could do my own workouts, but what would be the fun in that? This group has given me lifelong friends and I am thankful for it every day." If you are looking for a place where you can work on your health and fitness journey, socialize with spouses that are going through similar life events as you are, and children who need friends, then Stroller Strong Moms is worth trying out. You can try a class for free and pick from several different membership options. For more information, find them on Facebook: facebook.com/strollerstrongmomstacoma/.